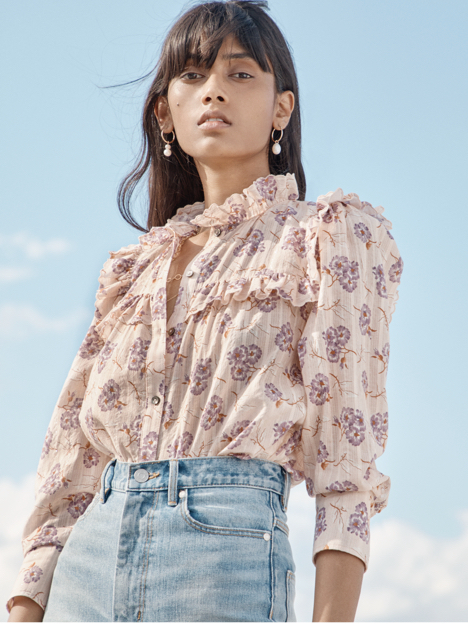 Soft, vintage-inspired florals blossom on this long-sleeve button-up top. Soft, vintage-inspired florals blossom on this long-sleeve button-up top. Crafted from lustrous silk jacquard and accented with a pleated neckline, this blouse lends charm to many looks.